Saturday Night Live cast member Pete Davidson got two new Ariana Grande-themed tattoos this weekend. "We had a good night," tattoo artist London Reese wrote on Instagram Saturday. The message accompanied a photo of Davidson with fresh ink that looks like the black bunny mask his new girlfriend, pop star Grande, wears on the cover of her 2016 album Dangerous Woman. The small design appears a little behind and below his left ear. He also had the initials "AG" permanently inscribed on his right thumb, E! News said. Grande, 24, and Davidson, 24, went Instagram official last week, showing the first photos of them as a couple. They are rumored to have begun seeing each other in early May. 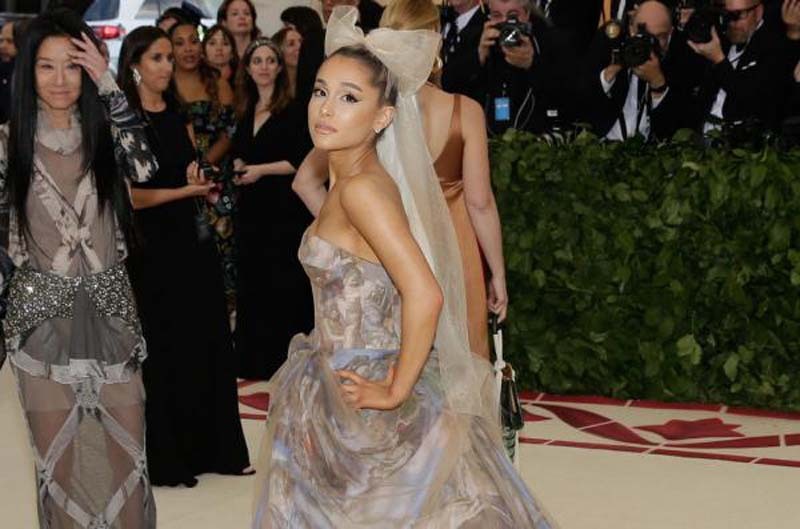 Grande previously dated rapper Mac Miller and Davidson was in a longtime relationship with actress-writer Cazzie David until recently. Davidson revealed in December he had a large tattoo of former presidential candidate Hillary Clinton's face etched on his leg.